Patrick Blannin (@PatrickBlannin) is a PhD Candidate, teaching fellow and research assistant at Bond University, Queensland, Australia. The authors doctoral research focuses on the role and scope of defence diplomacy in contemporary counterinsurgency and counterterrorism. The author has published a research monograph titled Defence Diplomacy in the Long War (Brill) as well as peer-reviewed journal articles on topics related to transnational terrorism (organisations, funding sources and counter measures). Divergent Options’ content does not contain information of an official nature nor does the content represent the official position of any government, any organization, or any group. National Security Situation: Can decentralized Local Defence Forces (LDF) reliably fill the security void in the Long War (Iraq and Afghanistan)? Will LDFs such as the Tribal Mobilization Forces and the Afghan Local Police generate or maintain stability until the capability of state forces improves? Or should such entities remain as a state sanctioned, locally drawn, semi-autonomous component of a formal security apparatus? Date Originally Written: January 29, 2018. Date Originally Published: April 23, 2018. Author and / or Article Point of View: From an academic perspective, the author analyses national security issues, and the responses to them, through the lens of a whole-of-government approach. This approach ensures all the U.S.’ tools of statecraft (DIMEFIL) are utilized pursuant of its national security strategic objectives. Background: In a perfect world, when the long-arm of the state is unable or unwilling to extend through the entirety of its sovereign territory, effectively filling the security vacuum by calling for a grass-roots approach to security and policing would represent a “compelling argument.” However, the Long War theatres of Iraq and Afghanistan are far from perfect, and for over a decade numerous iterations of so-called Local Defence Forces (LDF, or Local Police Forces, Community Defence Units, Public Protection Force, etc.) have been stood up. Results are mixed, with often short-term benefits yielding mid-term pain. For example, the highly vaulted Sons of Iraq (’Sahawa al-Anbar’, the Sunni Awakening) constituted a number of strategically aligned LDFs which combined to facilitate the routing of Al Qa’ida from Western Iraq (primarily Anbar Province). At the time however, with stories of its recent successes reported around the world, some analysts were guarded in their praise, identifying the short-term security gains in at least some areas, while recognizing “[T]here is little guarantee that these gains will persist, and there is some chance that the strategy will backfire in the medium term.” Similar conversations, and associated apprehension, regarding Afghanistan were occurring before, during and after the 2009 ‘Surge.’ The intoxicating aroma of tactical victory soon fades and is replaced by the lingering odour of arms races and power grabs between tribally aligned militias, and the often undermining influence and/or actions of the state. Significance: Over the past 16 years, the U.S. and its Coalition partners have encouraged the Iraq and Afghan governments, such as they were, to incorporate LDFs into their national security strategy. LDFs are designed to contribute to clearing or holding missions as well as local law enforcement in broader stabilization efforts. Although each theatre offers innumerable differences and associated challenges, one constant remains, that short-term tactical successes are followed by mid-term strategic losses. A legacy of its Long War experience, U.S. and Coalition civilian and military decision-makers have a ‘better’ understanding of the social/cultural anthropology in Iraq and Afghanistan. Although lessons have been learned and mistakes addressed, repeating the same flawed approach remains a primary strategic choice, and our expectations continually failed to be met. Option #1: Firstly, limit the size of LDFs. Secondly, ensure U.S. and Coalition personnel play a role, clandestinely wherever possible, in the vetting and training process which would allow the U.S. and its partners to identify recruits and influence the operating culture of the LDF. Additional constraints could include the amount, and type of weaponry supplied, limit or equalize the political influence/politicization of all LDF leadership as well as introducing an enforceable set of operating parameters. 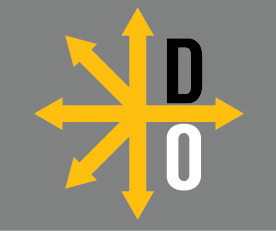 Risk: Attempts to constrain LDFs by limiting their size, political influence, or access to weapons risks undermining the capacity of the LDF to fulfill their objective. Moreover, a constrained and disempowered force can leverage traditional community relations to operate a shadow or parallel security apparatus which effectively monopolizes the use of violence within their respective area of operations which would undermine broader stabilization efforts. Gain: Limiting the size and capability of the LDF makes it more able to be managed by the government. Additionally, introducing a personnel cap in conjunction with more rigorous vetting would create a more effective and perhaps malleable security force. Standing up an effective LDF may mitigate the role/presence/agenda of existing militias affording tribal leadership the ability to pursue legitimate, non-violent, political activities. Option #2: Firstly, acknowledge, accept and plan for the inherent challenges and limitations of LDFs. Secondly, increase the tempo of the current, centrally controlled train, advise, assist, accompany, and enable and police force capacity building programs, leveraging the arrival of the nascent U.S. Army Security Force Assistance Brigades and private sector trainers/advisors. Centrally controlled, locally drawn LDFs can be generated through the existing security, stabilization and capacity building framework. Risk: Convincing/guaranteeing local militia and populations that their acquiescence to a degree of central government control and/or oversight will not prove detrimental to their local security objectives will be a challenge. Lack of progress in establishing security creates a security vacuum which nefarious actors will exploit rendering the situation worse than prior to implementing this option. Gain: Using the existing capacity building framework expedites implementation of this option. Moreover, generating requisite personnel should not represent a barrier, with existing militiae and a willing local population providing significant pool to draw from. Other Comments: For many, a situation in which locals (including LDFs) governed locals would significantly reduce tensions. However, this local-for-local governance does not equate with the preferred central government model. Both options are based on realities on the ground rather than a theoretical construct, thus LDFs such as the Tribal Mobilization Forces and the Afghan Local Police represent a rare triptych. This triptych is an opportunity to empower in situ populations, reduce the anxiety of the central government, and achieve the stabilization objectives of the U.S./Coalition Long War strategy. The objectives and concerns of all stakeholders are legitimate, yet they are diverse and need to be addressed in a comprehensive manner. LDFs do deliver short-term tactical benefits and can positively contribute to the strategic objective of sustainable stabilization in Iraq and Afghanistan. Dearing, M. P. (2011). ‘Formalizing the Informal: Historical Lessons on Local Defense in Counterinsurgency’, Small Wars Journal at http://smallwarsjournal.com/jrnl/art/formalizing-the-informal-historical-lessons-on-local-defense-in-counterinsurgency . Cox, M. (2017). ‘Army Stands Up 6 Brigades to Advise Foreign Militaries’, Military.com; Cooper, N. B. (2017). ‘Will the Army’s New Advisory Brigades get Manning and Intel Right?’, War on the Rocks at https://warontherocks.com/2017/09/will-the-armys-new-advisory-brigades-get-manning-and-intel-right/ ; Gutowski, A. (2017). ‘Newly created ‘teaching’ brigade prepares to deploy to Afghanistan, FDD Long War Journal at https://www.longwarjournal.org/archives/2018/01/sfab.php ; Keller, J. (2018). ‘The 1st SFAB’s Afghan Deployment Is A Moment Of Truth For The Global War On Terror’, Task & Purpose at https://taskandpurpose.com/sfab-train-advise-assist-afghanistan/ Strandquist, J. (2015). ‘Local defence forces and counterinsurgency in Afghanistan: learning from the CIA’s Village Defense Program in South Vietnam’, Small Wars & Insurgencies, Vol. 26, no. 1, pp. 90–113 at http://www.tandfonline.com/doi/pdf/10.1080/09592318.2014.959772?needAccess=true ; Green, D. (2017). In the Warlord’s Shadow: Special Operations Forces, the Afghans, and their Fight Against the Taliban, Annapolis, MD: Naval Institute Press, 2017, pp. 1-256.